Little accent lamps can really spruce up a room! 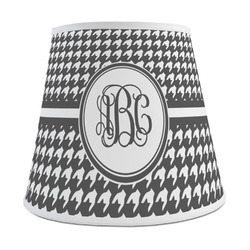 Liven up your lighting with our personalized Empire lamp shade. 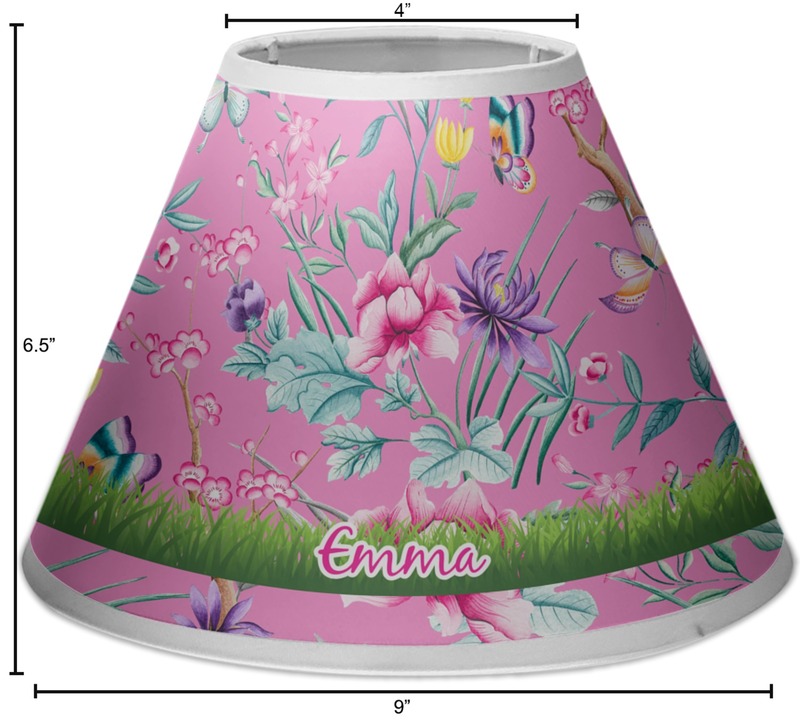 The Empire shade style has a standard base of 9", which is twice as large as the top of the shade. This simple design results in a more concentrated casting of light, which makes it great for smaller spaces. 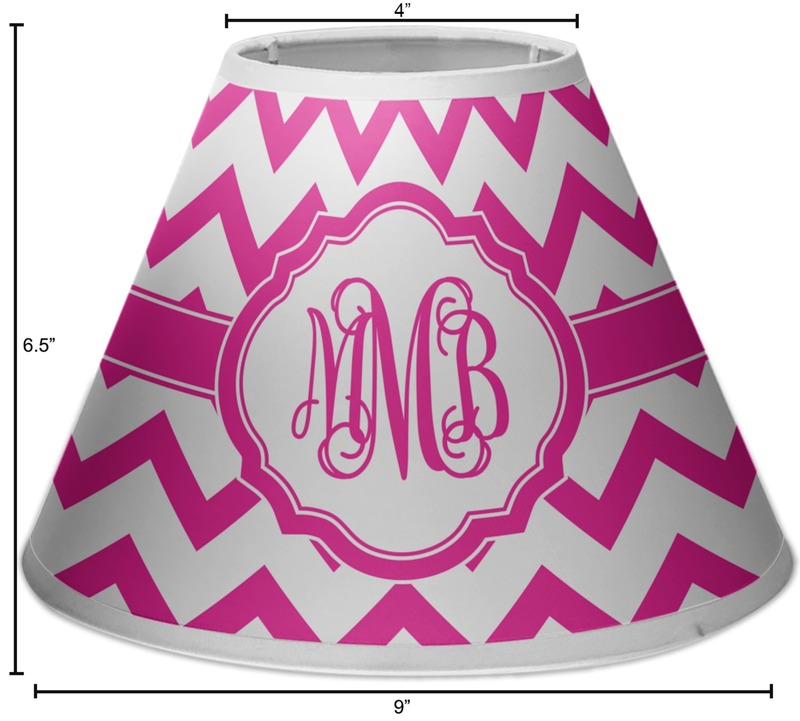 This shade will go perfect in a bathroom or kid's room! This lamp can be the focal point of a small room or an accent of a larger room. Use it as a nightlight in your bathroom or use it as an accent piece on a small entry table. If you are looking for a slightly larger shade then be sure to check our our Coolie lamp shade! 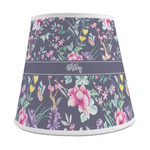 With a typical slip UNO fitter, this lamp shade is easily placed on most lamp bases. White ribbon trim runs along the top and bottom of the shade to give it and your design a nice finished look. The shade itself is made of a lightly textured fabric that is easily dusted with a soft cloth. 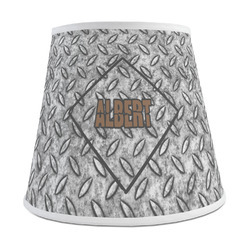 With all the patterns and designs to choose from, this shade will look great with any decor for kids or adults. 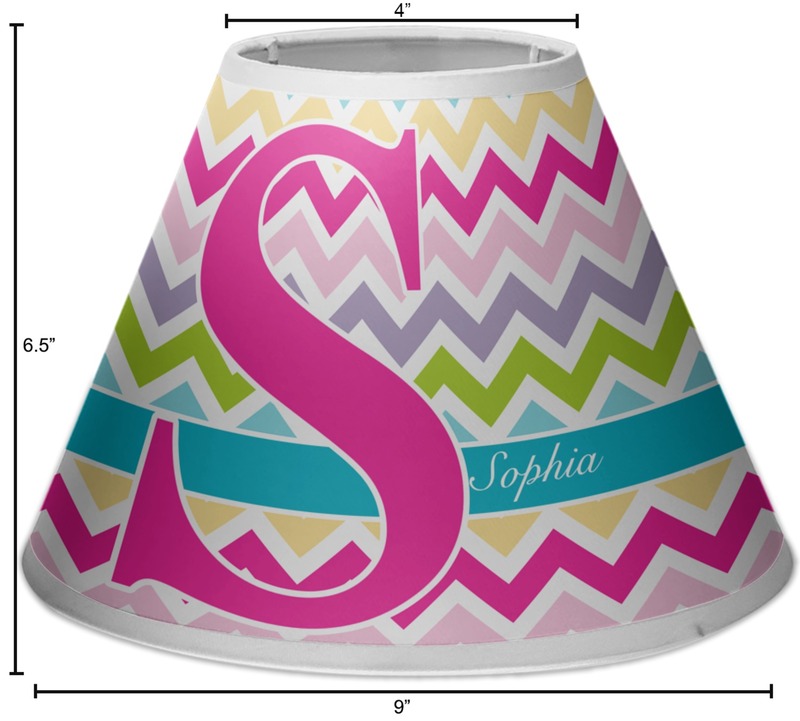 Change anything in your design from the ribbons to the patterns to the name or text! Change a little or change it all! 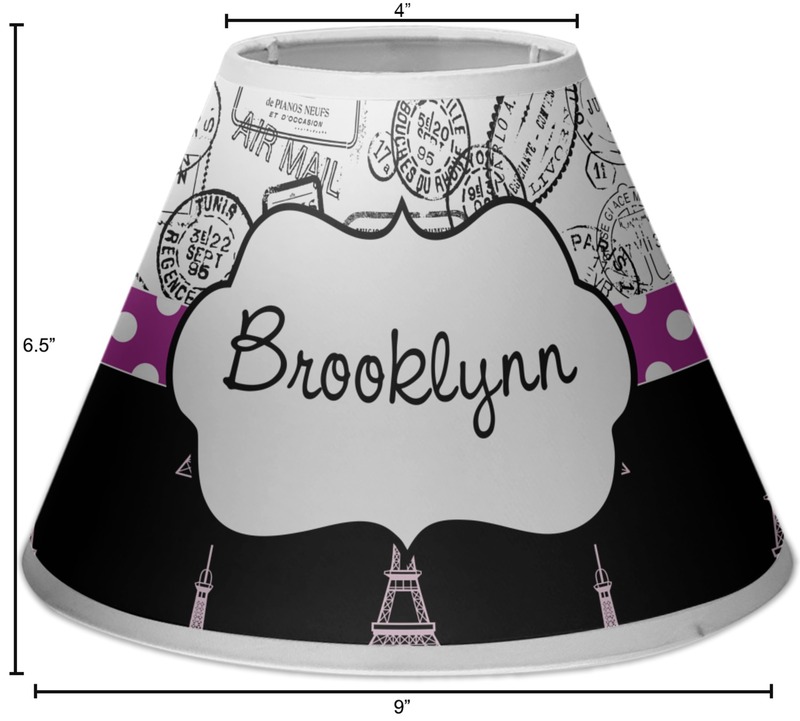 We ordered the lamp shade as a replacement and let our 4-year-old daughter give her input for the design. Despite normally being very picky, she was very happy with the look and was excited to put in the order. Shipping was quick, updates on the order status were timely, and the lamp shade arrived looking exactly as expected. I would recommend this to anyone looking for a quality shade for a reasonable price. 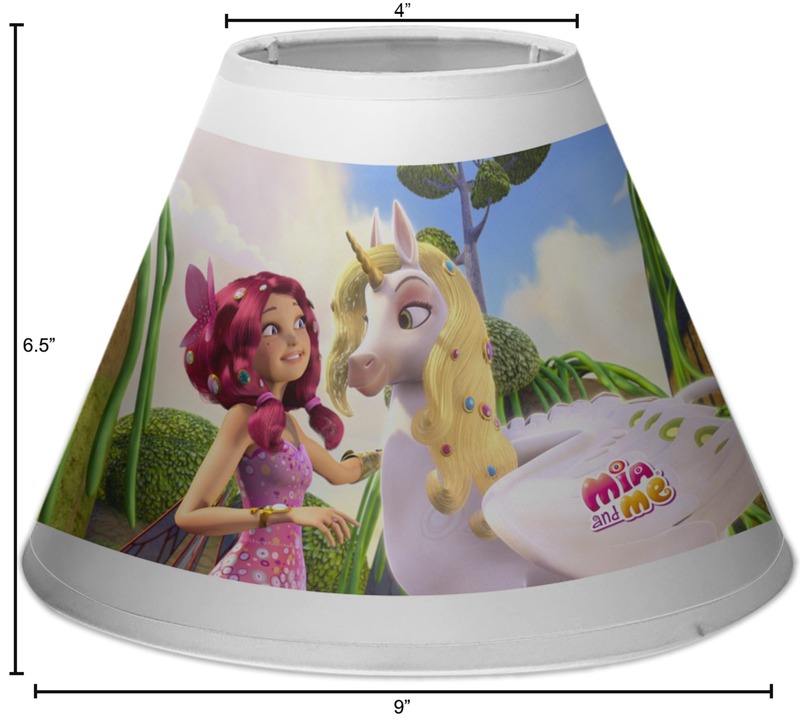 We ordered a lamp shade as a Christmas gift, so (shhhhhh)... We just received it and think it will be perfect for our daughter's room! We know that our daughter will absolutely LOVE it and can't wait for her to open it up on Christmas morning!!!!!!! My granddaughter decided to decorate her room in lots of colors. This lampshade is perfect! We love it! Bought this for my granddaughter and it is fabulous! We love it!